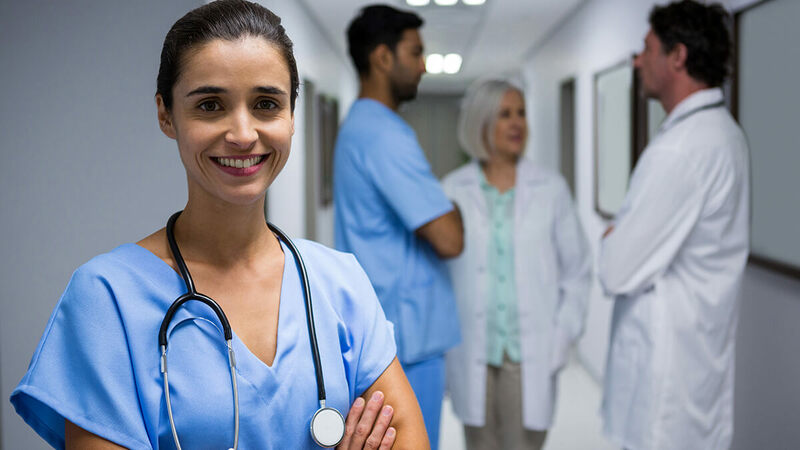 The nursing profession continues to be the largest workforce in the healthcare industry and continues to grow faster than the average for all professions, according to the Bureau of Labor Statistics (BLS). The data for 2019 projects that the nursing profession is expected to grow by 15% between 2016 and 2026 with an employment of almost 3,400,000 nurses throughout the US. All other occupations are expected to have a growth of only 7% over the same time period. The population will continue to age and demand high quality medical care. In an age of technology, information travels fast. The aging population has grown accustomed to access and education that has allowed them to have the absolute best practice to help prevent complications and improve outcomes for a long quality of life. That is not going to change. Chronic conditions and diseases will also continue to grow as the population grows and ages. These include conditions and diseases such as diabetes, arthritis, all forms of dementia, and obesity. Educating patients in these areas will compose an increasing part of the workforce demand for nurses. The Baby Boomer nurses will reach an age range of 62-80 by 2026 and a majority will have most likely retired. Many Boomers postponed retirement after the Great Recession of 2008 and most continue to work in 2019. Replacing this generation of nurses has and will continue to place a huge burden on the nursing profession. In the past few years however, the supply of nurses has increased and in doing so, created a competition for jobs especially in major labor markets. That will begin to dwindle again as many more of the Boomers actually retire from the workforce. As a result, the life-cycle of nurses has changed with the times over the past decade. The preliminary life-cycle stage when a nurse begins to consider a nursing career has expanded. For some the decision is formulated and even finalized in early childhood. This can be based on things such as exposure to the healthcare field as either a patient, having a chronically ill relative or friend, or through relatives or friends who work in the field such as a parent, aunt, uncle or grandparent who is a nurse. After 9/11, there was a huge surge in second-career nurses as people sought a more meaningful career path in the wake of that tremendous tragedy. The decision-making process is the first stage in becoming a nurse. And it never leaves you. The reason for becoming a nurse is usually a very strong need, desire or feeling. For some it’s “a calling.” Sometimes it’s accompanied by the need to prove something such as why become a nurse and not a doctor. Revisiting this decision is something nurses will do many, many times over the course of their career. Validation and searching for why in the world did this ever seem to be a good ideaoften bring nurses back to this point. The “why” is essential sometimes to renew an interest and love for a career that may have gone stale, become overwhelming or disappointing. Getting back to that base to be able to re-examine it and perhaps make a U-turn or take a fork in the road and pursue more education or certification is more than a once going to be essential to most nurses. Pursuing a nursing education is the next step in the life-cycle of the nurse. Nurses who have an idea of what part of nursing may fulfill their dreams will have an idea of the level of education to start with and devise a plan to get there. With an emphasis on BSN preparation as an entry level requirement in the near future, a path to a BSN is probably the smart route for all students. Although for those who need to take things in smaller steps for financial or other reasons, the ADN route is still an option. However, it is highly recommended that the BSN be a part of the ultimate goals. Certifications and advanced nursing degrees may also be a very important part of future nursing education goals. These may be evident to the beginning nurse, or they may not come into view for some time and/or after some experience. Getting the very best education possible is imperative to safe and effective nursing practice. Passing the NCLEX provides evidence to the public as well as the State Board of Nursing that the nurse possesses the knowledge, theory and skills to practice as a nurse. As new nurses will quickly learn and seasoned nurses know, the nurse’s education step does not end with graduation and passing the NCLEX to become licensed as a nurse. In fact, in many ways it just begins. Nurses never stop learning even if they don’t pursue a higher level of education, they will learn something new almost every day on the job and through continuing education courses for nurses whether they be required or just something a nurse wants to take to enrich his or her knowledge base. Technology is constantly changing and emerging and with it new diagnostics, treatments, medications and even cures develop every day. Patients have the same access to information through the Internet and self-diagnosis and treatment can be very dangerous. Nurses need to stay abreast of all of it—the good, the bad, and the absolute lies! They will have to know what the patient thinks they “know” to be able to help sort out the important and relevant parts and put them on the right path to improved outcomes. Additional education and examination are required for certification and for periodic renewal. Nurse Certification helps nurses, employers and patients who all benefit from the advanced skills, knowledge and expertise obtained through certification. Nursing education provides the nurse with the basic skills and knowledge base to safely practice nursing. The clinical rotations expose students to a variety of nursing fields and opportunities. The NCLEX and licensure ensure that the knowledge base and skills are present, and the nurse is safe to practice. The life-cycle of the nurse proceeds to the art and science of practicing nursing and improving the health status of their patients. According to the BLS, a nursing career may take the nurse far beyond the bedside. In fact, under the changing rules of reimbursement, hospitals may no longer be the major place of employment for nurses. Patient stays have become limited and will continue to do so. Post-acute care such as long-term and skilled nursing facilities will become more prevalent for those requiring extended stay care and rehabilitation. The next step will be to outpatient care or home health care options. Same day care facilities provide for chemotherapy, dialysis, day surgery and rehabilitation services. Many more nurses will be required for these fields. In order to prepare for this, nurses are encouraged to look beyond the bedside for roles that provide for better and stronger patient outcomes. In 2010, the Institute of Medicine (IOM) published a landmark report entitled “The Future of Nursing” which identified areas of need for the proactive support of the nursing profession. Some of the key elements included the implementation of nurse-residency programs for extended orientation and education and formulate a strong transition to practice for new nurses. It also calls for expanded opportunities for nurses, increasing the proportion of BSN prepared nurses to 80% by and doubling the number of doctoral prepared nurses by 2020. Another point was ensuring nurses engage in lifelong learning and are prepared to lead the changes to advance the healthcare industry. Out of the report came Transition to Practice (TTP) formalized programs that have been developed to help bridge the gap from student nurse to seasoned nurse. The ANCC also created the Practice Transition Accredited Program (PTAP) to establish the gold standards for hospital residency and fellowship programs for RNs and APRNs. Establishing the best possible practice environments for nurses at all stages of their careers helps to improve the quality of care for all patients and help nurses transition with healthcare as it evolves and changes to best meet the needs of patients.